NYC, 02/21/2019, 8:00PM. 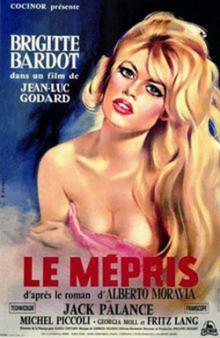 Jean-Luc Godard's Contempt (1963): French Cinema Classic with Brigitte Bardot. Godard’s lushly photographed epic that charts the breakdown of a marriage while taking numerous satirical stabs at the heart of Hollywood commercialization. This French-Italian New Wave drama film stars Brigitte Bardot and received universal acclaim from critics.